Your gums are the foundations which hold your teeth in place, and as such, are vitally important in keeping your teeth healthy. The health of all patient’s gums will be assessed at every check-up appointment. If necessary, we may recommend for you to see one of our dental hygienists for a deep cleaning or to treat gum disease (Periodontal Disease). Our dental hygienists are specialists in the diagnosis, treatment and prevention of all gum problems. They are vital members of our team and play an important role in helping our patients keep their teeth and gums healthy for life. They can offer expert advice and guidance on how to care for your teeth and gums..
Gingivitis is a completely reversible condition if professional cleaning and good home care is carried out. Most patients will benefit from professional cleaning every six months. 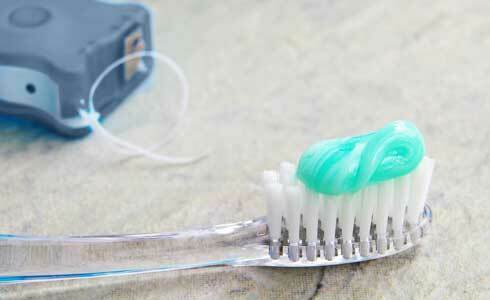 We also recommend twice daily brushing and using dental floss or interdental brushes once per day to treat gingivitis. The destruction to the supportive tissues of the teeth, the gums, ligament or bone caused by periodontitis is irreversible. However, the treatment provided by our dental hygienists in Ivory Dental Care in Malahide will prevent any further progression of the disease, and if caught early enough, can restore your gums to full health. Our dentists and dental hygienists in Malahide will tailor a course of treatment for you depending on the severity of your periodontal disease. This could range from a single visit routine cleaning up to several visits for deep cleaning using numbing agents to make it a more comfortable experience. The success of your periodontal treatment is very much dependent on good oral hygiene practices at home. Our dental hygienists will give you a customised home care regime as well as an advised maintenance plan for return visits to ensure that your gums remain healthy for life. Periodontal disease is an umbrella term for conditions called gingivitis and periodontitis. Gingivitis is inflammation of the gums which presents with bleeding and swelling. Periodontitis is an infection which causes destruction of the tissues which hold the teeth in place (gum, bone and ligament) and if left untreated can lead to tooth loss. Gum disease is the main cause of tooth loss in Ireland. At Ivory Dental Care in Malahide we welcome all new patients to our state of the art clinic. We offer early morning, late evening and Saturday appointments to cater for even the busiest of schedules. We hope to welcome you to our clinic soon.